In 1895, the St Pancras union bought Eastcliff House at the corner of Alexandra Road and Wilderness Road in Margate for use as a children's seaside convalescent home. Children at the front of Eastcliff House, c.1896. Eastcliff House from the north-east, 2005. In 1898, the establishment was sold to the Metropolitan Asylums Board for use by all London's children. In 1901, two new 25-bed blocks were added at the south of Eastcliff House, taking the total capacity to 91. The eastern block was used as an infirmary. The western one, known as the kitchen block, had a central kitchen surrounded by stores, with accommodation for domestic staff on its upper floors. In 1903, 30 further beds in the open air were added by the erection of a wide verandah at the south side of the 1901 blocks. By 1906, the total accommodation of the home was 130 beds and the inmates consisting of children suffering from tubercular affections of the spine, bones and joints. The children stayed an average of six moths in the home but this could extend to two years or more if necessary. 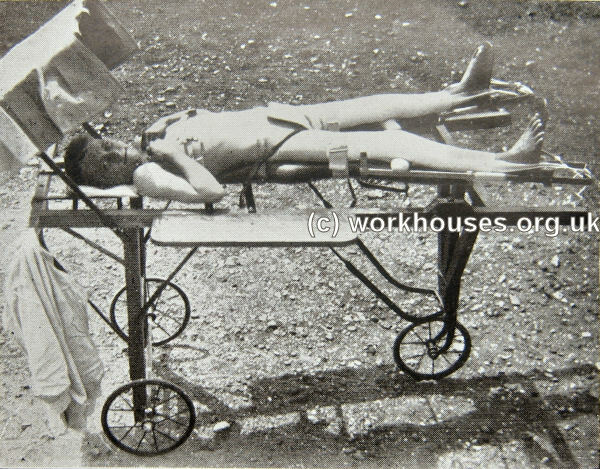 As well as sun-bathing and sea air, sea-bathing was also prescribed as a treatment for some children. Eastcliff House 1901 block and verandah. In 1906, Miss Emily K Jacob was the Resident Matron, and the Medical Officer was Mr WJ Sutcliffe. In 1910, the MAB bought a further area of land to the south of the existing site. In 1919, further buildings were erected in this area including a long two-storey ward block which became known as Block A. It contained children's wards, isolation wards, an X-ray department and a dispensary. Two further large verandah blocks were constructed to its south. The home was then renamed Princess Mary's Hospital for Children. 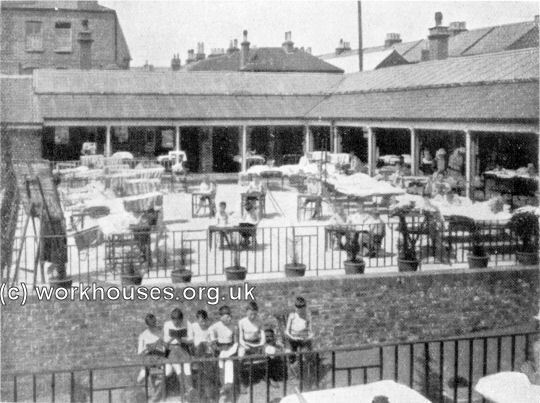 Verandah wards at Princess Mary's Hospital, Margate from the south-west c.1923. Princess Mary's Hospital 'Sky-shine' therapy, Margate, c.1923. Princess Mary's Hospital patients, Margate, c.1923. 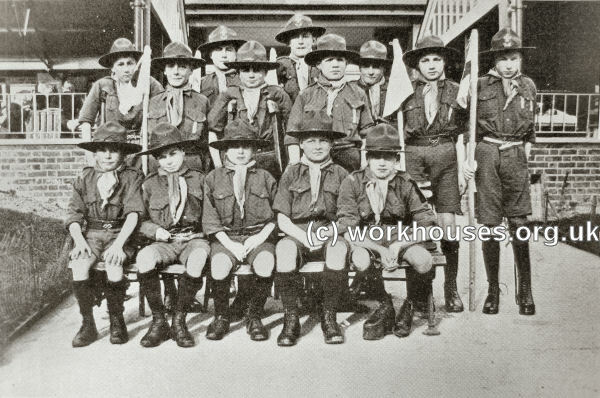 Princess Mary's Hospital Boy Scout Troop, Margate, c.1923. 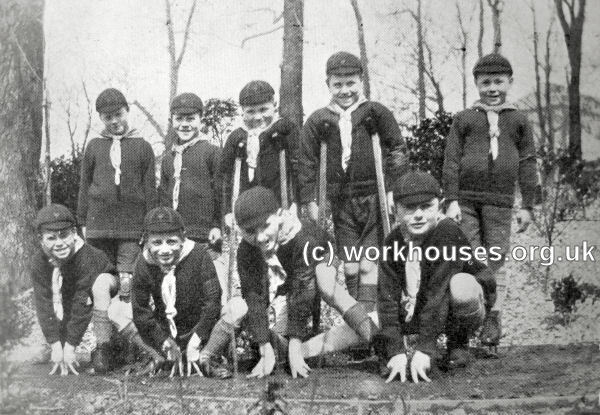 Princess Mary's Hospital Wolf Cub Pack, Margate, c.1923. In 1930, the hospital was taken over by the London County Council. 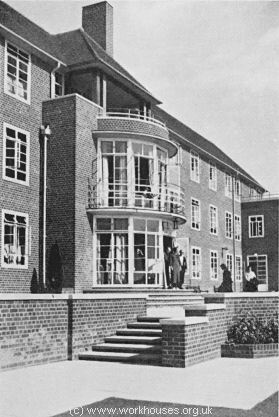 In 1934, it was converted to a hospital for convalescent women under the name of Princess Mary's Convalescent Home, as an alternative to the unpopular St Benedict's Hospital in Tooting. 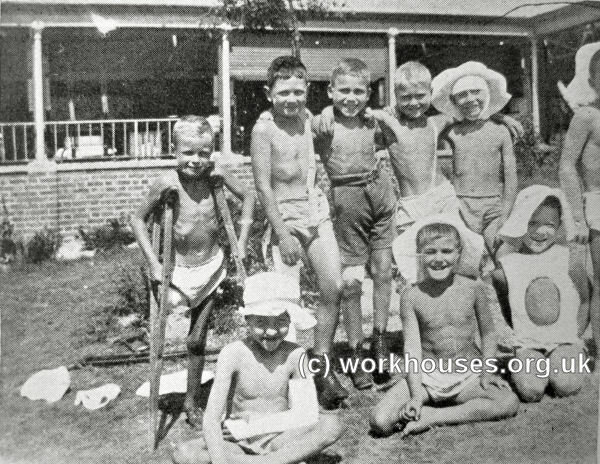 The children's facilities were transferred from Margate to Heatherwood Hospital at Ascot. 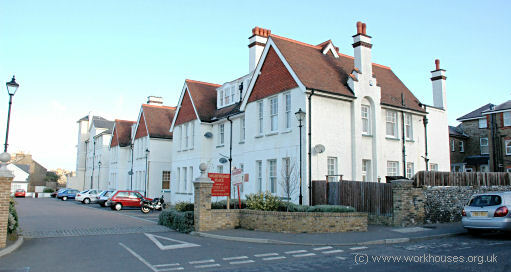 Eastcliff House became used as a nurses's home. 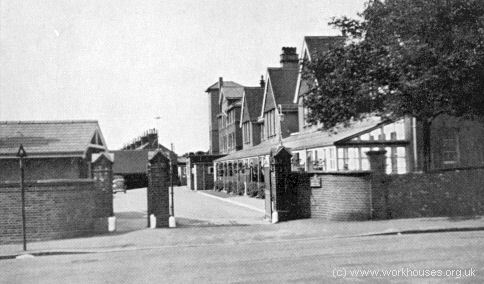 In 1938, a large new convalescent block was added at the south of the site. It was designed by the LCC's chief architect EP Wheeler. The hospital later became a rehabilitation hospital but finally closed in around 1981. 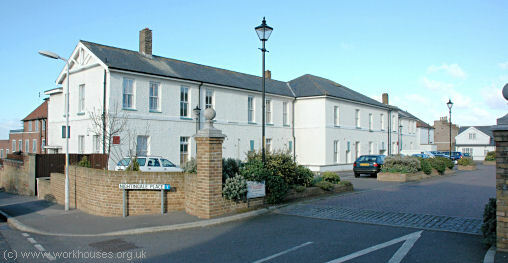 The original Eastcliff House is now the home of the Thanet Mencap Society. The 1901 and 1919 buildings have been converted for residential and use. The 1938 blocks now house a private residential nursing home. London Metropolitan Archives, 40 Northampton Road, London EC1R OHB. Holdings include: General records (1899-1948); Admissions and discharges (1895-1929); Staff records (1898-1933); etc.